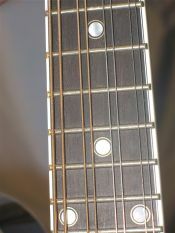 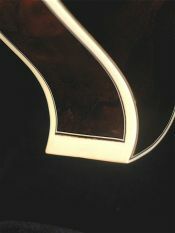 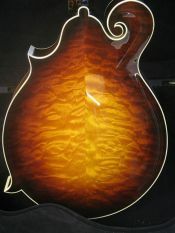 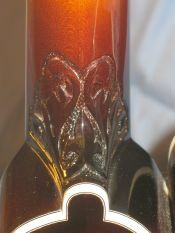 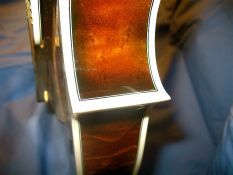 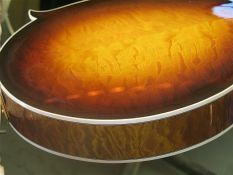 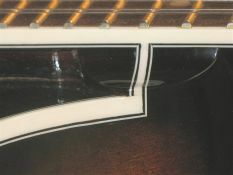 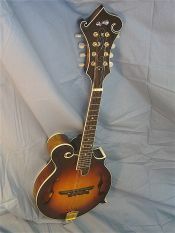 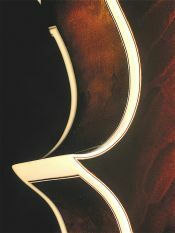 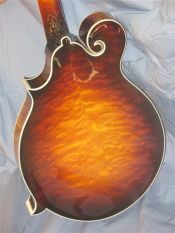 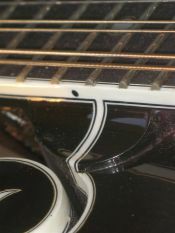 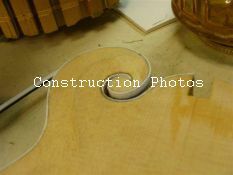 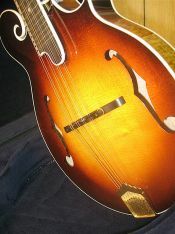 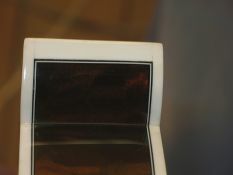 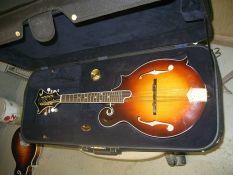 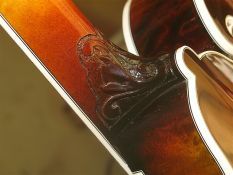 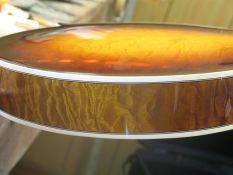 Below are links to larger photos of the Ratliff 1000th mandolin. 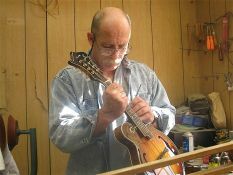 The 1000th instrument is quite a milestone in any luthier's career. 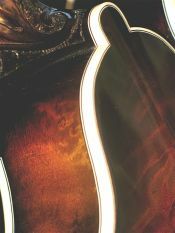 This unique instrument has special triple-ply binding all around, heel carvings, unique position marker treatment, all gold hardware, gold-plated cast tailpiece, Calton case and, of course, the fanciest quilted maple I could find!